Fitness and healthy activities are important year round. However, staying active during the colder months is essential for maintaining a strong immune system, burning calories to avoid the dreaded winter weight gain, and releasing those "feel-good" chemicals to help alleviate those post-holiday blues. For those of you who enjoy exercising outdoors during the winter, keep in mind that Hendricks County parks and trails are open all year. 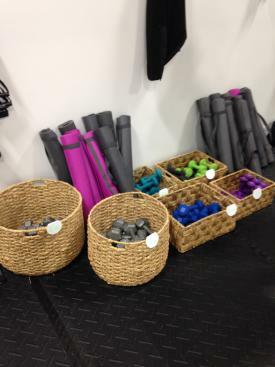 For those of us who prefer to exercise in the warmth of the indoors, plenty of options are available in Hendricks County. Many of the programs/facilities offer ongoing memberships as well as drop-in rates and are located throughout the county. Therefore, visitors and residents alike can easily locate an indoor fitness option that is both convenient and affordable. Connection Pointe Christian Church,1800 N. Green St., offers ten group fitness classes, boot camp, personal training, fitness center, gym and a walking/running track. Quite a variety of group fitness classes are available. Whether you prefer cardio or strength/toning classes, you will definitely discover one or a few that meet your fitness needs. Classes are included in a membership or cost $3 per visit. Click here for more detailed information regarding class times and descriptions. Membership prices or the $3 visitor passes are very affordable and also include access to the gym, fitness center, track and most group fitness classes. The facilities are conveniently open Monday-Saturday. Click here for rates and hours. 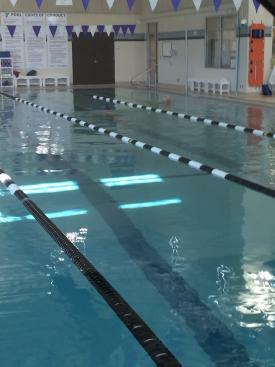 Brownsburg Parks and Recreation offer group fitness classes (morning stretch, yoga, cardio classic), aquatic classes (water aerobics and aqua cardio) and open swim. All classes except aquatics take place at Eaton Hall, 61 N. Green St. The Brownsburg High School Aquatic Center, 1000 S. Odell St., hosts the aquatic classes and open swim. Participants may enroll online or in person at Brownsburg Parks office, 402 E. Main St. Class descriptions, times and rate information are listed here (pg. 6-7). Hoosier Trainer, 1650 E. Northfield Drive, Suite 900, specializes in group fitness classes and personal training. A variety of cardio and strength classes are offered everyday with morning and evening options. Check out the class descriptions. Both regular memberships and class passes are available for group fitness classes. 30-minute personal training sessions are priced according to number of sessions. Click here for more details and to purchase a membership. Fleece Fitness, 604 W. Main St. Suite D, owned by Pittsboro native, Kattie Fleece, has become a popular and successful fitness facility. They offer 19 different group fitness classes throughout the week with morning or evening time options. With such a variety of classes, it&apos;s simple to find a class that fits your individual fitness/health needs/goals. Click here to view the schedule. Please note that you must sign up online before attending classes. 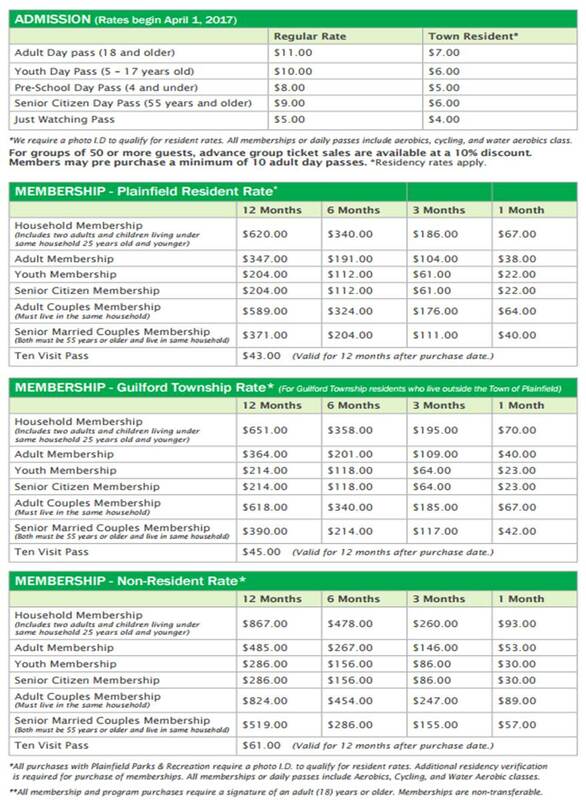 Many membership choices are available as well as a punch card option and individual class pass. Check here for pricing. The Richard A. Carlucci Recreation and Aquatic Center, 651 Vestal Road, offers numerous workout choices, such as cardio and weight machines, free weights and equipment, group fitness and cycling classes (click here for schedule) and an 1/8-mile indoor track. Childcare is included with admission/membership. Membership options include monthly rates, 10-visit passes and day passes. Click here for pricing. The Richard A. Carlucci Recreation and Aquatic Center also offers a mini-marathon training course beginning Jan. 16. This is a 15-week program that includes health and nutrition tips, running and cross-training tips and a group to train with. Click here (pg. 18) for more information. Hendricks Regional Health YMCA, 301 Satori Parkway, provides a wellness center, group exercise classes, adult sports, four-lane lap pool and an outdoor 1.55-mile track. 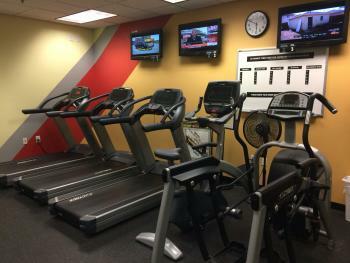 The wellness center boasts cardio and weight machines, free weights and various exercise equipment. The group fitness classes vary from light to max intensity. Cardio Dance, Cycling and Turbokick are just a few examples of cardio classes. Those focused more on strength and conditioning include Les Mills BodyPump and Core Training. The group exercise schedule offers morning and evening classes throughout the week. The four-lane indoor lap pool is available at various times daily (though depending on aquatic class times, all four are not always open at the same time). Membership options include individual or household, and payments are monthly or yearly. As a member, you have access to all 12 YMCA of greater Indianapolis locations and, as of recently, nation-wide facilities as well.